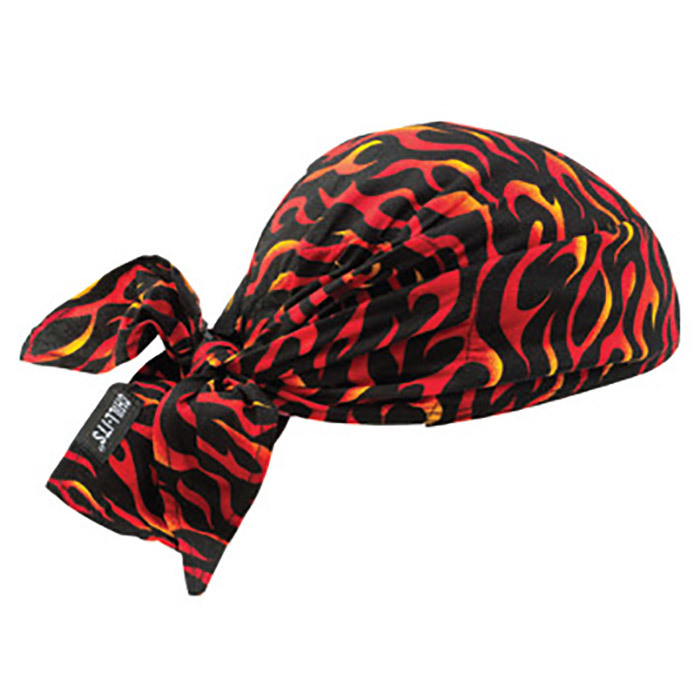 Ergodyne Chill-Its� 6710CT Flames Evaporative Cooling Triangle Hat with tie closure is made of advanced PVA towel material keeps you cool without the bulk. Bandana can be easily activated by keeping it in cold water for one min. It can be easily re-activated by soaking in water. Bandana with low profile patented design is ideal for under hard hats and helmets.